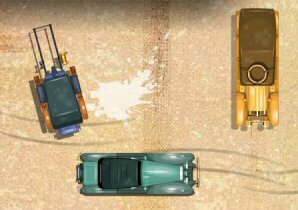 Description: Vintage Car Thief game The object of the game is to steal the car and get away in one piece! Avoid running into anything and guide your car to the safety zone! Be a successful car thief and beat all of the different stages the game has provided for us.